The infamous Powercore 2 is the measure which others aim for. 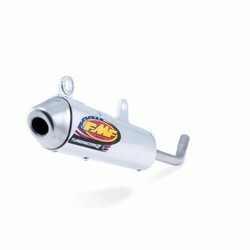 With its lightweight extruded aluminum oval canister mated to a perforated core, this silencer is above the competition. The Powercore 2 silencer provides a strong performance edge for any 2-stroke machine and the performance flow end cap and front stinger are stainless steel for unbeatable durability and an unmatched look.